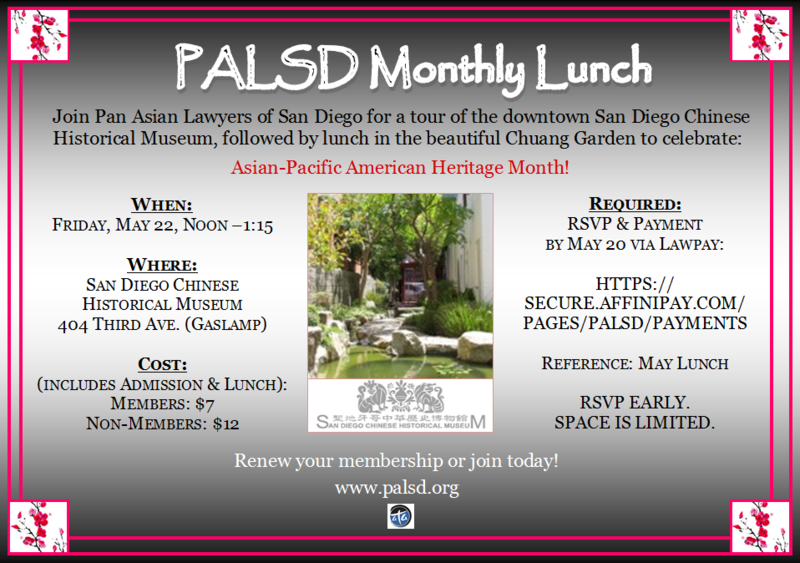 Our friends at the Pan Asian Lawyers of San Diego cordially invite you to attend their May lunch. Please see the details below. 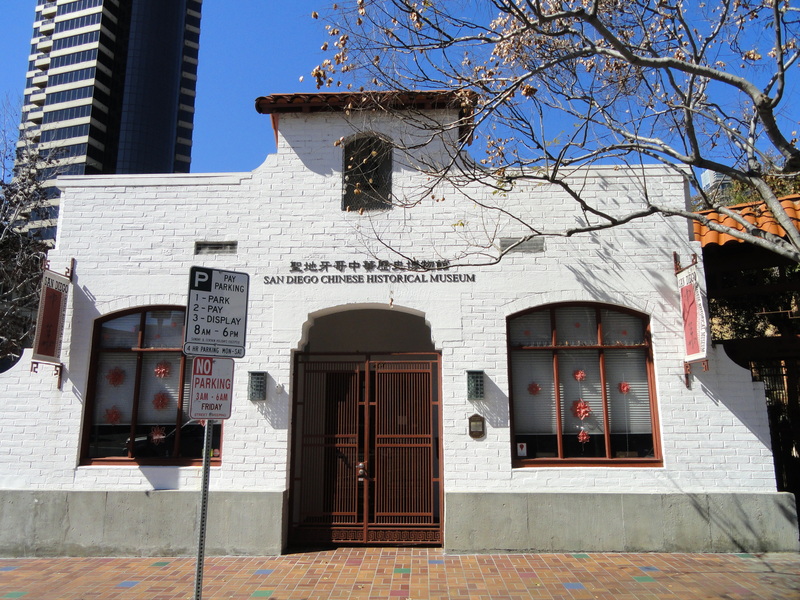 Join Pan-Asian Lawyers of San Diego for a tour of the downtown San Diego Chinese Historical Museum, followed by lunch in the beautiful Chuang Garden to celebrate Asian-Pacific American Heritage Month! Time: 12:00 P.M. – 1:15 P.M.
For more information, please see the flyer at this link.